THE annual Frenchfield swimming gala saw the Penrith club host teams from Troutbeck Bridge, Workington and Carlisle Water Polo swimming clubs. An enthusiastic audience saw an entertaining and competitive event in which holders Workington ran out easy winners with 187 points, being placed in 39 of the 50 races. The other three teams were evenly matched, however, with six points covering the three of them. Penrith came from last place after almost half the events to finish second with 108 points. Troutbeck Bridge and Carlisle could not be split and finished equal third with 102 points. 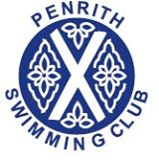 Individual winners for Penrith were Rebecca Wallace, in the 17 tears and under girls’ 50 metre backstroke; Laura Huggon, in the 14 years and under girls’ 50m freestyle and 50m backstroke; and Lois Wharton, in the 12 years and under 50m breaststroke.